Disney provides a Disability Access Service (DAS) Card which allows guests with disabilities to receive a return time for an attraction based on the current wait time so that individuals who would find it difficult to wait in the long lines that often accompany Disney rides. Learn more about the DAS Card here. In addition, the park provides a number of different services to accommodate individuals with special needs, including cognitive, hearing, mobility, and visual disabilities. Disney also addresses light sensitivity, magnetic field affects, and special effect issues. Visiting Disney? Learn more about all of their Services for Guests with Disabilities here. Universal offers a free Rider’s Guide for Rider Safety & Guests with Disabilities that describes each attraction’s restrictions and requirements in detail. Check out the guide here. The park assists visitors with mobility restrictions, hearing and/or visual impairments, wheelchair rentals, family restrooms, and service animal-friendly policies, among other things. Universal also provides the Attractions Assistance Pass (AAP) which is designed to accommodate guests who can’t wait in regular standby lines. Learn more about this pass and other aspects of Universal’s assistance programs here. Special access at Busch Gardens is designed to allow guests to enjoy the attractions without waiting in lines, if the guest is not able to do so as a result of his or her disability. Guests are placed in a Virtual Queue which equals the estimated wait time at that respective location. Guests have the ability to enjoy other attractions throughout the park during this time and then proceed to the specific attraction at the estimated time. Guests wishing to use Special Access must enroll in the park’s Ride Accessibility Program at Guest Relations (located at the Adventure Outpost). Cedar Point accommodates guests with disabilities through their Ride Admission Policy. The Ride Boarding Pass Program allows guests to access rides at specified times via the exit ramp in order to avoid crowds and waiting in the regular queue lines. If requested at least one week in advance, Cedar Point will provide American Sign Language (ASL) interpretation at several of its shows and attractions. Learn more about this service here. Kings Island developed a Boarding Pass Program which allows guests with mobility restrictions or Autism Spectrum Disorder (ASD) to access rides at specified times via the exit ramp in order to avoid crowds and waiting in the regular queue lines. The park also provides a list of tips for before and during your visit intentionally developed to assist families with loved ones on the Autism Spectrum. Read more here. Upon arrival to Hersheypark, the park invites guests to visit its Hospitality Services located inside the Front Gate, to enroll in their Ride Accessibility Program. Guests are asked to complete and sign the Ride Accessibility Questionnaire. To save time, download and complete the questionnaire prior to arriving at the park — then simply bring your completed questionnaire to Hospitality Services. The responses to that Questionnaire generate a Boarding Pass with a list of rides that guests can enjoy during their visit to the Park. The Boarding Pass will be linked to the enrolled guest with a photo taken the day of the visit. Guests with mobility issues are welcome to utilize their own wheelchairs, but the park asks that all guests enroll in our Ride Accessibility Program to utilize the accessible entrances at our attractions. SeaWorld provides an overview of services and facilities available for guests with disabilities. The guide is intended to supplement the park map, which contains additional park information and an entertainment schedule. You can download a PDF version of the guide here. For additional information about SeaWorld Orlando’s accessibility, SeaWorld invites you to email Guest Correspondence at SEAguestcorrespondence@SeaWorld.com. Additionally, SeaWorld provides a Ride Accessibility Questionnaire on their website which assists in finding rides and attractions personalized for your loved one with special needs. So where are you headed this summer for some fun and adventure? Whichever park you choose, make sure to PLAN AHEAD and TAKE ADVANTAGE of the many special services and programs specifically designed to make your family’s visit as easy and enjoyable as possible! 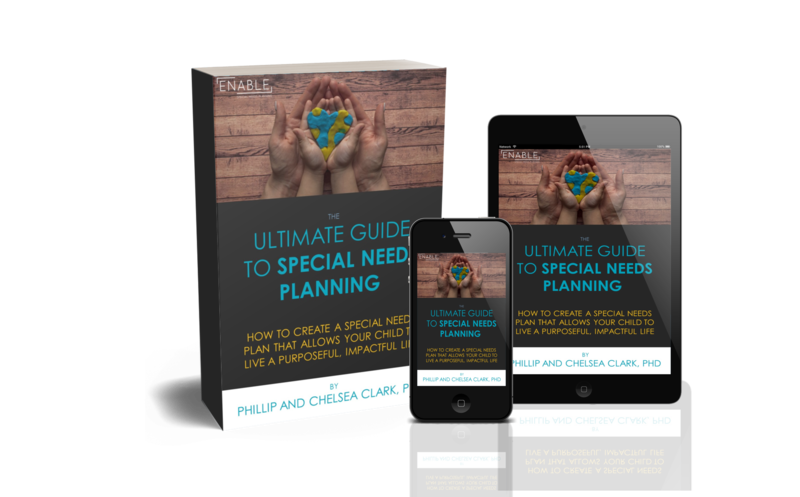 *Please Note: ENABLE Special Needs Planning, LLC, is in no way affiliated with any of the amusement parks mentioned in this post nor does ENABLE receive any monetary benefit from your engagement with any of the amusement parks mentioned in this post. We are simply sharing this information for your knowledge and potential enjoyment.